Vatican City, 11 March 2013 (VIS) – Following is a brief chronology of Conclaves in recent centuries along with interesting facts that occurred during each. 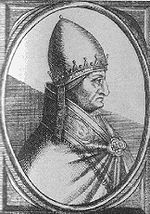 In the entire history of the Church, the longest papal election—taking place in Viterbo, Italy in 1268 and ending with the election of Gregory X—lasted for over two years. It was as a result of this instance that the modern incarnation of the papal Conclave was instituted. 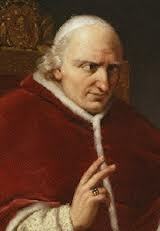 In modern history, the longest Conclave was that of 1740, which ended with the election of Benedict XIV. It lasted from 18 February until 17 August, 181 days. 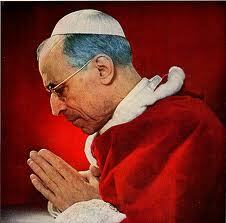 Fifty-one cardinals participated in the final ballot, four cardinals having died during the proceedings. 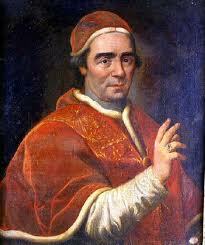 In 1758, the Conclave that elected Clement XIII lasted from 15 May until 6 July, 53 days. 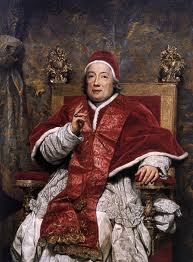 Forty-five cardinals participated, but one was absent at the final ballot, having left the Conclave because of illness. In 1769, Clement XIV was elected after 94 days, from 15 February until 19 May. Forty-six cardinals participated in the vote. 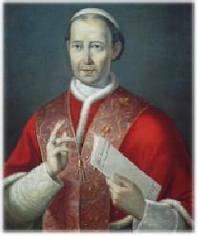 Beginning in 1774, the Conclave that elected Pius VI lasted 133 days, from 5 October of that year until 15 February 1775. 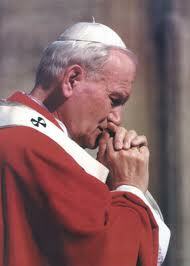 Forty-six cardinals entered in the Conclave but two of them died during the proceedings. 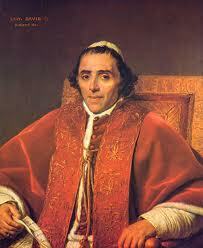 The Conclave that elected Pius VII took place in Valencia, Spain, since Rome was under occupation by Napoleon’s troops. It lasted from 1 December 1799 until 14 March 1800, 105 days. It was the last Conclave held outside of Rome and 34 cardinals participated. 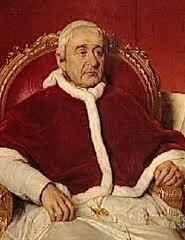 In 1823, Leo XII was elected after 27 days, 2 September until 28 September, and 49 cardinals participated. 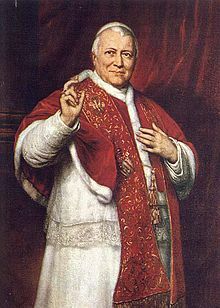 In 1829, the Conclave that elected Pius VIII lasted 36 days, 24 February until 31 March, and 50 cardinals participated. 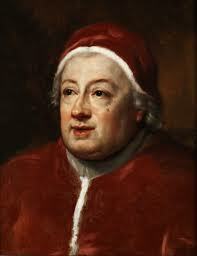 At the Conclave that began in 1831, the last cardinal not to be bishop was elected Pope, Gregory XVI. The Conclave that elected him lasted 51 days, from 14 December 1830 until 2 February of the following year and 45 cardinals participated. “Short” Conclaves began to take place from 1846, with the election of Blessed Pius IX. 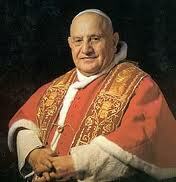 Fifty cardinals elected him Pope in a conclave lasting three days, from 14 to 16 June of that year. After the longest papal reign, which lasted more than thirty years, the following Conclave also lasted three days, from 18 to 20 February in 1878. 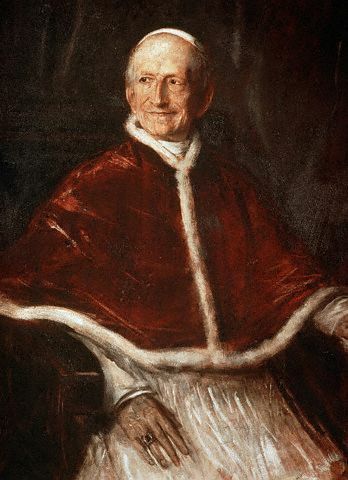 Sixty-one cardinals participated in the vote to elect Leo XIII. 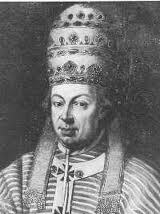 It's interesting to note that, as his reign was the third longest in papal history, lasting over 25 years, only four of the cardinals that elected him participated in another Conclave. Another interesting fact from this Conclave is that the first American to be created cardinal, Cardinal John McCloskey, archbishop of New York, would have been the first non-European to take part in a papal election but he arrived too late to participate. 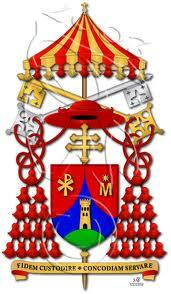 That honour was to go to Cardinal James Gibbons, archbishop of Baltimore, Maryland at the next Conclave. In 1903 St. Pius X was elected Pope by 64 cardinals in a Conclave that lasted five days, from 31 July until 4 August, and had 7 ballots. It was the last time that the “Jus Exclusivae” (“right of exclusion” or right to veto a candidate for the papacy claimed by the Catholic monarchs of Europe) was exercised. The Italian Cardinal Mariano Rampolla was vetoed by Franz Joseph I of Austria-Hungary. 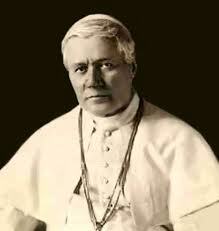 After his election, St. Pius X abolished the right of heads of state to exercise a veto. 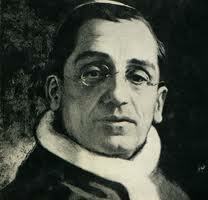 In 1914, the Conclave that elected Benedict XV lasted four days, from 31 August until 3 September. The 57 participating cardinals had 10 ballots. Three North American Cardinals were locked out of the Sistine Chapel, having arrived too late to enter but it was the first time that a Latin American cardinal participated, Cardinal Joaquim Arcoverde de Albuquerque Cavalcanti, archbishop of Sao Sebastiao do Rio de Janeiro, Brazil. 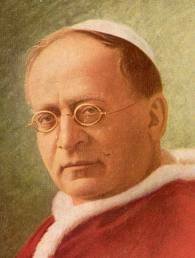 In 1922, during the Conclave that elected Pius XI, 53 cardinals held 7 ballots over five days, from 2 to 6 February. Two American and one Canadian cardinal were again left out of the Conclave for having arrived too late. After his election, Pius XI established a period of 15 days from the beginning of the Sede Vacante to entering into Conclave in order to allow cardinals enough time to travel to Rome. In the 1939 Conclave that elected Pius XII, the first patriarch of an Eastern rite participated in the election: His Beatitude Mar Ignatius Gabriel I Tappouni, patriarch of Antioch and all the East of the Syrians. The Conclave, the shortest of the twentieth century, lasted just two days, from 1 to 2 March. The 62 cardinals held 3 ballots. In the Conclave of 1958 that elected Blessed John XXIII, cardinals from China, India, and Africa participated for the first time. The Conclave lasted four days, from 25 to 28 October and the 51 cardinals held 11 ballots. In 1963, the Conclave lasted three days, from 19 to 21 June. 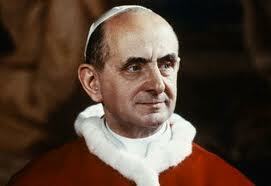 The 80 cardinals elected Paul VI after 11 ballots. 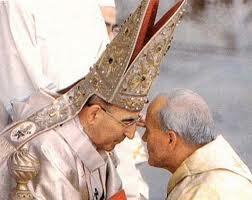 In 1978, the Conclave that elected John Paul I was the first in which cardinals over the age of 80 did not participate. The Conclave lasted two days, 25 to 26 August. The 111 Cardinal electors held four ballots. In the second Conclave celebrated that year—the reign of John Paul I lasting just 33 days, resulting in the most recent “Year of Three Popes”—Blessed John Paul II was elected by the same 111 Cardinal electors after eight ballots held over three days 14 to 16 October. 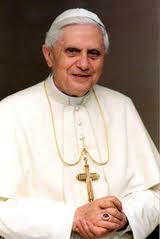 In 2005, Benedict XVI was elected Pope in the fourth ballot of the Conclave that lasted two days, from 18 to 19 April. The largest number of Cardinal electors ever took part in that election: 115. 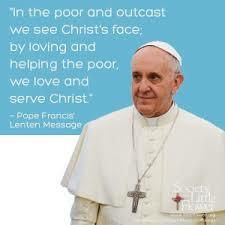 The Conclave that begins tomorrow morning, 12 March 2013, will be the first one since 1829 to be held during Lent. One hundred fifteen Cardinal electors will participate.